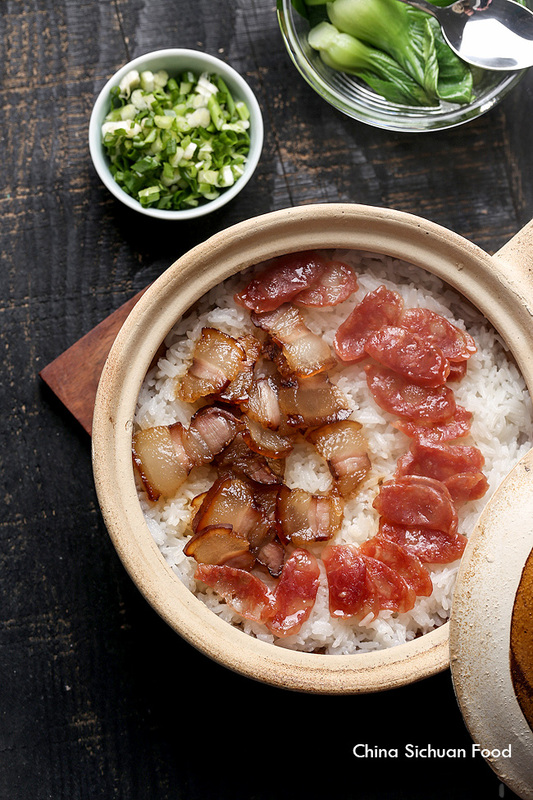 Learn how to make a warm Hong Kong style clay pot rice with sweet Cantonese sausages (lop cheong) and Chinese cured pork (lop yuk). 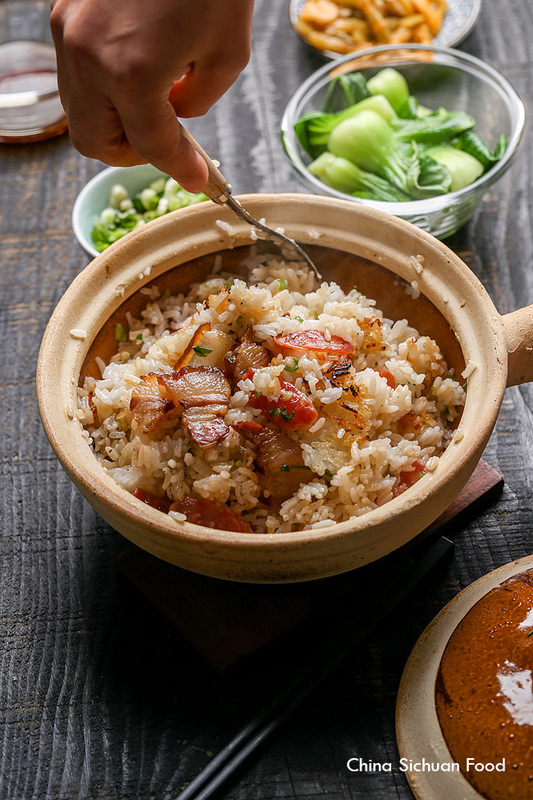 I am a big fan of clay pot rice!! 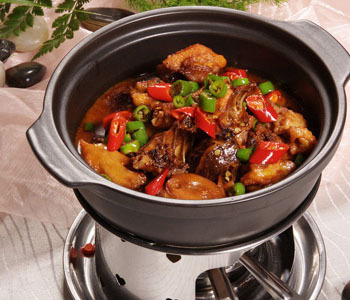 I love chicken clay pot, lop cheong clay pot rice and beef clay pot rice. Several days ago, I received handmade Cantonese sweet sausage (lop cheong) and I made a lop cheong buns with it. As the winter is quite cold now, so I made the first batch of lop yuk (Chinese cured pork belly). So I get everything needed for a homemade clay pot rice. 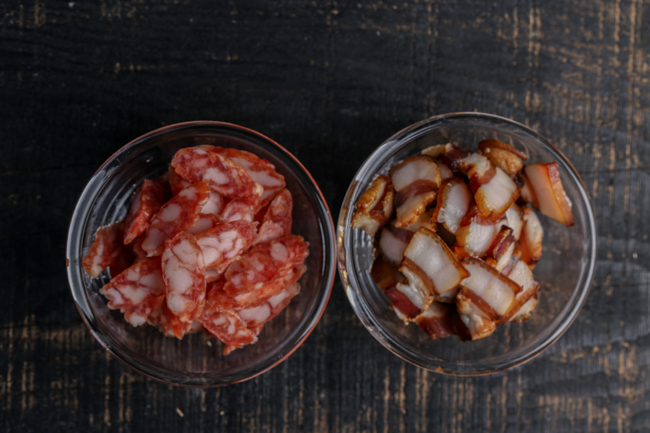 Slice the air-cured pork belly and sweet sausage into thin slices. 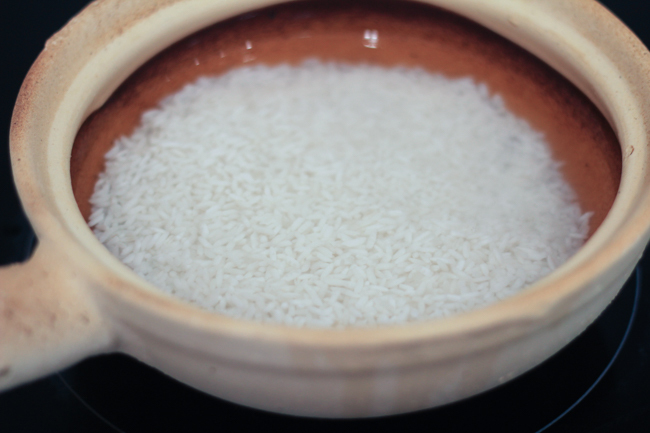 Set aside.Rinse the rice carefully and then soak with clean water for around 30 minutes. Then heat the pot with medium fire until boiling.After 2-3 minutes, add ginger slices firstly and then top with pork belly and sweet sausage slices. 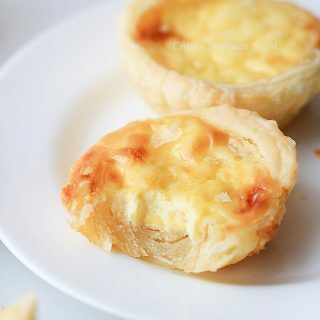 Drizzle oil over the edges. Cover the pot, turn down the fire and let it simmer for 10 to 12 minutes. If you are cooking on a gas stove, rotate the pot for evenly heating can help to create more crispy bottoms. Then move from heat and set aside for 5 minutes. During this time, bring a pot of water to a boil, add pinch of salt and drops of oil, cook Bok Choy for 1-2 minutes. Transfer out. 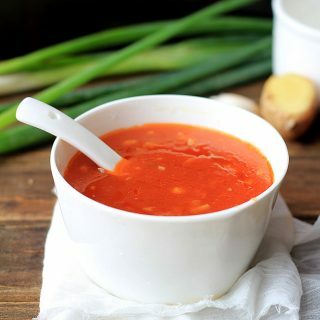 Stir all the sauce in a small bowl. 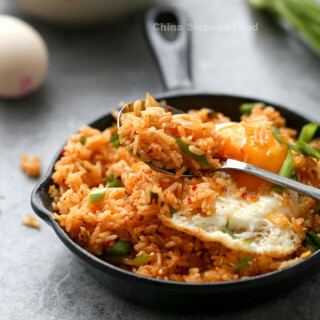 Uncover the pot, drizzle the sauce and garnish the green onion. 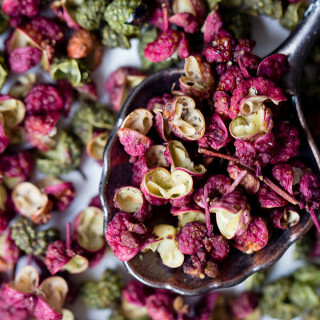 Enjoy after stirring everything together. 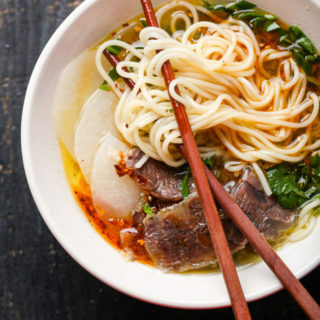 Serve with Bok Choy and other pickles(optional but highly recommended). 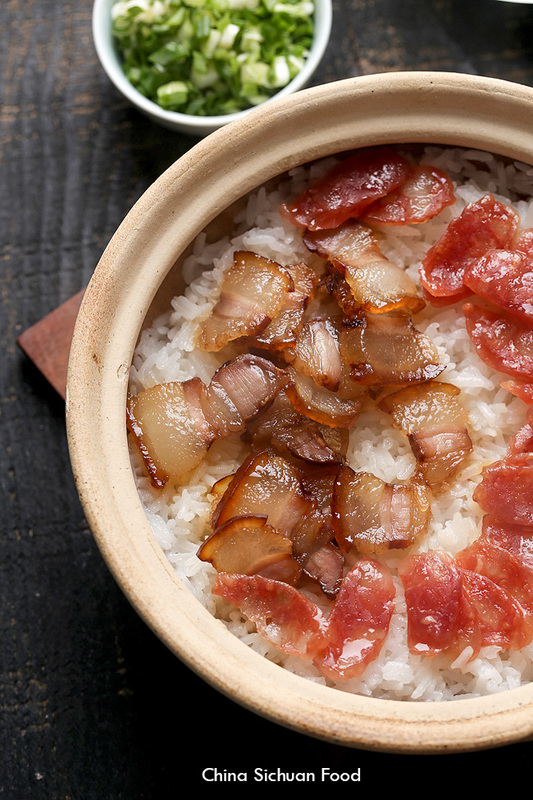 One pot warm clay pot rice with Chinese sausages and cured pork belly. Set aside.Rinse the rice carefully and then soak with clean water for around 30 minutes. Then heat the pot with medium fire until boiling. 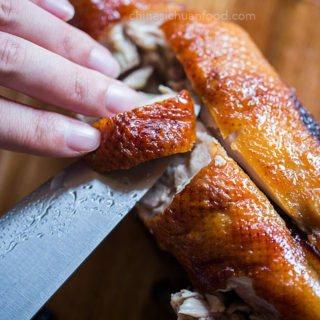 After 2-3 minutes, add ginger slices firstly and then top with pork belly and sweet sausage slices. Cover the pot, turn down the fire and let it simmer for 10 to 12 minutes. If you are cooking on a gas stove, rotate the pot for evenly heating can help to create more crispy bottoms. Then move from heat and set aside for 5 minutes. During this time, bring a pot of water to a boil, add pinch of salt and drops of oil, cook Bok Choy for 1-2 minutes. Transfer out. is there any preparation needed for using the clay pot? Do I need to season it or anything? its my first time using my clay pot and I just wanna make sure if there are stepsto take if im using it for the first time. We are suggesting to soak your clay pot firstly in water for 30 minutes and dry before using, which can help to prevent it from cracking later. No other extra step needed. What do you guys mean when you say add oil to rice. Is it just regular canola or vegetable oil? Or do you mean sesame oil? Common vegetable oil can work. 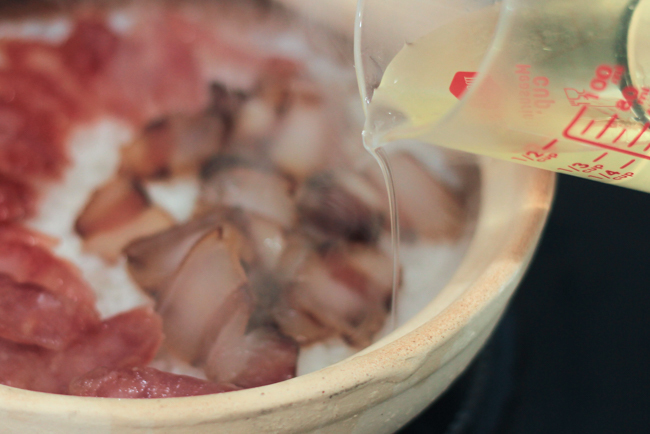 It works as a lubricating agent to prevent the rice from sticking to the bottom. This is great! 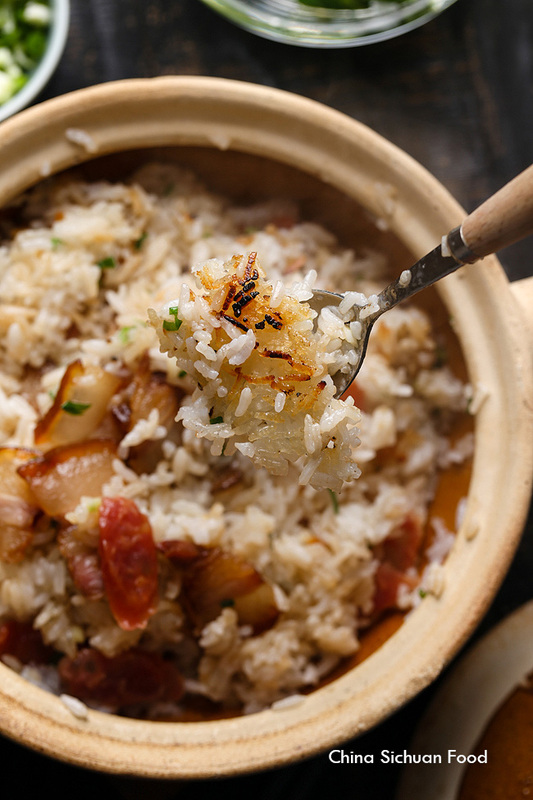 Do you have any suggestions on how to adapt the recipe for brown rice? 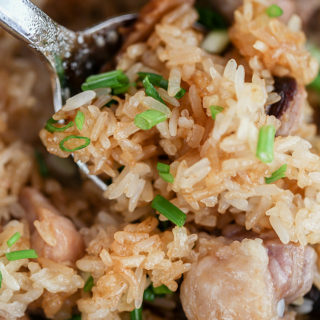 For brown rice, you need to add more water, possible 1 and 3/4 cups of water. And the other steps should be the same. 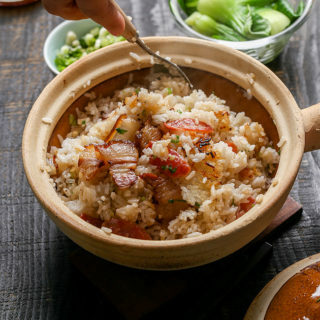 Do you have recommendations on how to cook clay pot rice using a conventional rice cooker or electric pressure cooker (Instant Pot) instead of a traditional clay pot? Thanks! 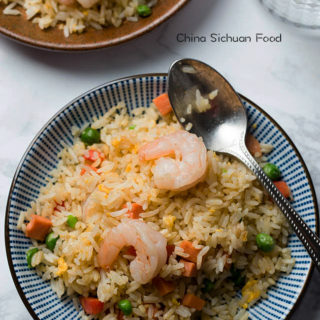 You can make this rice with rice cooker or electric pressure cooker. 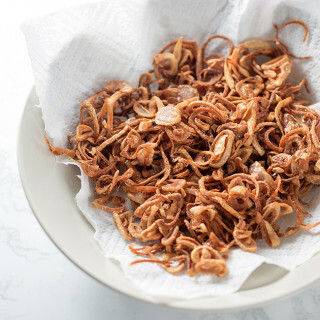 But the two tools cannot create the crispy bottom and the separated grains. You can try to use a cast iron pot and follow this instructions before adding the side ingredients. Would this work with an electric stove? Sure. I use electric stove in my kitchen too. How much oil do you drizzle along the edge?